Technology might have been one of the biggest breaks that paved the way to utmost convenience, but it also came with some risks. As technology progresses, more and more wired digital features are being crammed into the dashboards of newer vehicle models. From simple manually operated speakers to touchscreen operated controls and other high-tech functionalities, vehicles are continually evolving according to technology and consumer demand. As the years go by, vehicles are more likely to become more wired. A simple look at the instrument panel of a new car will reveal sleek digital instruments and multi-coloured, functional screens. The more high-tech these car cockpits are, the more attractive they become to the customers. Recently, research firm Mintel discovered that more than 40 percent of millennial car buyers are engrossed in attaining modern technology in their automobiles. A recent study by IHS Markit revealed that the $37-billion car cockpit electronics market share could double to up to $62 billion in four years’ time. Meanwhile, financial firm PwC evaluates that car electronics could comprise up to 20 percent of a vehicle’s price within the next two years. One of the most functional and useful features that have been embedded in vehicles is the smart phone integration. This allows drivers to use their phones hands-free through voice operated functions. Although navigation applications such as Waze have become increasingly popular among drivers, vehicle-owners still yearn for the built-in feature. This built-in GPS feature is also helpful in tracking vehicles, especially for freight and delivery systems. Entertainment systems back in the day were just all about music features – AM/FM, satellite radio and MP3 players. Today, it can range from DVD, TV players, and even internet functionalities. This means that some automotive digital features could allow the drivers to check their Facebook accounts straight from the dashboards. These assisting tools are very valuable, especially to those who are having a hard time to park properly. These are installed to provide the driver a better view of the back and sides for easier navigation. It is the ultimate distraction. With a car bombarded with high-tech digital features, drivers are more likely to look down, rather than focus on the road. A huge number of road accidents are triggered by such distractions, especially among teens and younger drivers in their twenties. Drivers do not mind the fines. 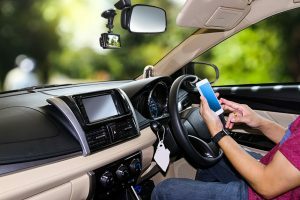 Despite the implemented rules and regulations including fines and penalties, a lot of drivers still prioritize replying to iMessage, or checking their Facebook notifications, over concentrating on their driving. While some digital functions are certainly helpful, some drivers end up solely depending on it. Once the GPS loses connection, or the camera-enabled parking assist fails to work, how are you going to perform these functions if you’ve been accustomed to such assistance? Moreover, some drivers end up focusing on fixing the malfunction, whether it’s a music player that stopped, or a volume that won’t be adjusted. Though digital automobile features might have been very useful for some drivers, it is important to be reminded of road safety guidelines. Conversely, the most important thing is to have them in moderation. It is still best to rely on skill-based driving, rather than solely relying on technology. Know your map by heart, and avoid being too dependent on GPS technology. Most importantly, road regulations and safety measures should always be kept in mind. 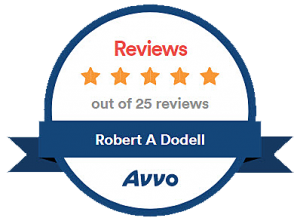 If you need a driving legal defense, call Robert A. Dodell Attorney at Law for a free initial consultation.